Growing tired of minimalist color schemes and feeling ready to spice up your designs with some warm and cozy shade? Well, you are not alone! Rust seems to be raising in popularity rapidly these last few months and is now popping up everywhere from fashion to interior design. But where did it come from and why is everyone becoming so obsessed with this rich, retro shade? To be completely honest, it did not come as a surprise. 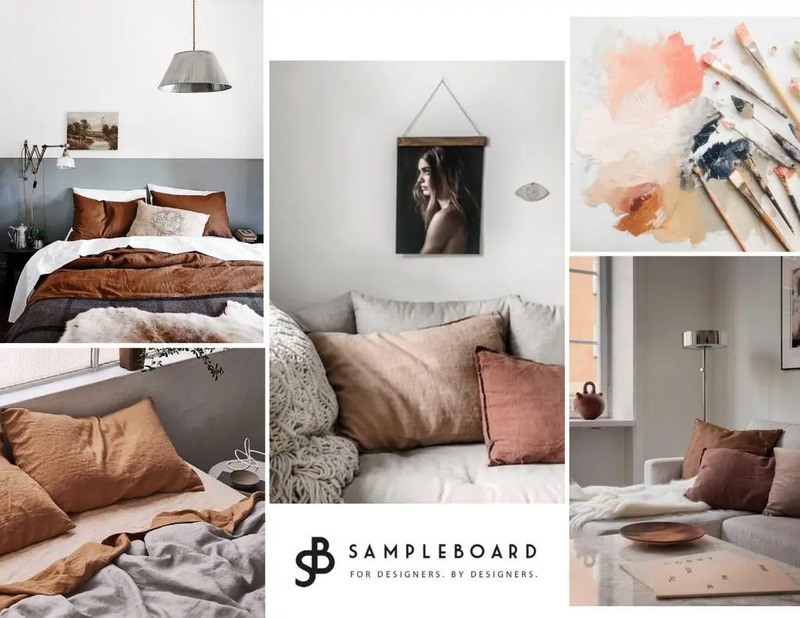 The trend has been cooking for a year now (at least officially), since the design industry’s most important event, Salone del Mobile in Milan, put rust in the spotlight just next to THE shade of the decade – millennial pink. But it is not just rust that has been growing on us lately, it’s the whole family of earthy neutrals. 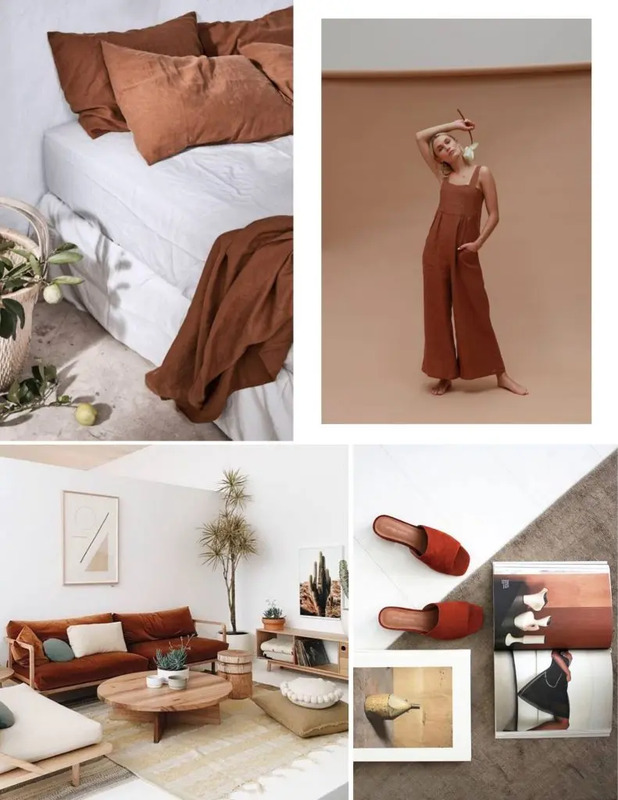 Symbolizing a slower way of life, strong connection with Nature and more sustainable living, earthy tones reflect our deepest desires and needs as human beings, so it is only natural that we are starting to lean towards this particular aesthetics. Remember our feature about Sage, the democratically elected color of 2018, well, just add Rust into the picture, and we are still talking about the same design movement that is definitely here to stay. So, we might as well explore the rust color together and discover how we feel about it. How does Rust Color look like? The easiest way to describe rust color is as a reddish-brown, red-orange-brown or even reddish-yellow color combo, closely resembling iron oxide. It got its name from Proto-Germanic word rusta which means redness. Actually, rust is not just one shade, but rather a small family of hues, so don’t feel bummed if you can’t put your finger on it precisely. And if you are still not sure how exactly this trendy color looks like, take a look at the image below. How to pair Rust with other colors? Rust can warm up even the coldest of interiors and is bound to make a strong statement, without overpowering the rest of the space. It can be used as both accent and neutral shade, while still showing off an equally impressive vibe. Pair it with whites, and you will get a clean, edgy look with just the right amount of sophistication and moodiness. For a timeless, classy ambience, throw in a bunch of dreamy pillows and a gorgeous antique rug featuring a rusty palette. Even coffee table accessories would do. And voila! All natural shades, such as greens and sands look equally great when combined with rust. If you are looking to turn a home into an escape and create an inviting nook for winding down after a long day, then look no further than this warm color scheme. 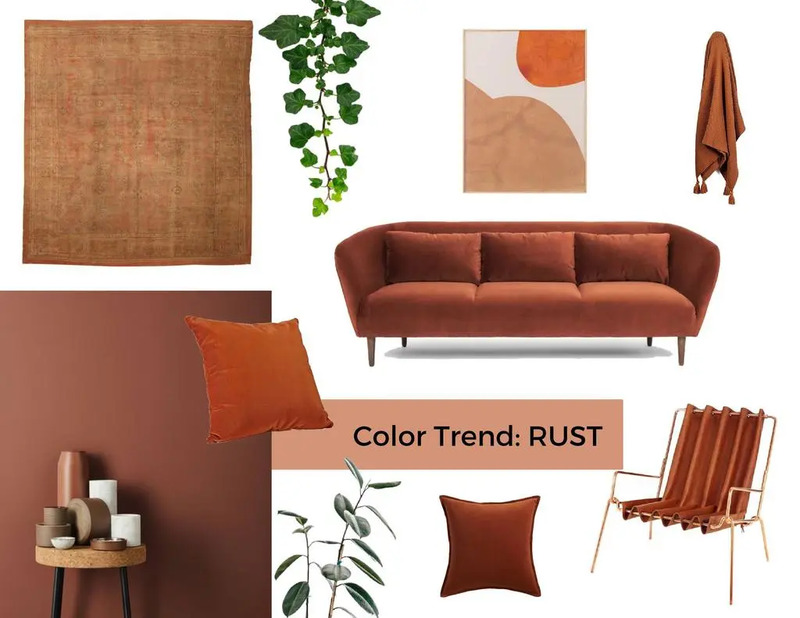 Bonus tip: if urban jungle trend is your thing, you absolutely need to give rust a chance! The way the greenery pops next to the rust sofa is absolutely divine! If grey is your go-to neutral, exploring decorating options that rust brings to the table is a must. Unless you are all into sweet pastels or brights, this gender-neutral, luxurious shade will edge out all other options you might explore to use as accents. The grey and rust pair speaks volumes about maturity and calm. Talking about sweet pastels, Millennial Pink is probably to blame for the rise of this spicy hue. Just watch them together and you will fall in love with the combo, no doubt! If you are into millennial pink and like to use it as a neutral, pops of rust will provide the edge you need to bring the interior from sweet to sophisticated. Even Navy Blue would do! When put next to rust, one of the hottest colors of the season (well, any season to be frank) navy blue, dark blue, midnight blue, or however you prefer to call it, tells a captivating and authentic story about style. Whether you are into modern Scandinavian aesthetics, Seventies look (especially combined with rattan), Eclectic style, Contemporary interiors with retro elements, Boho Californian spaces or even Modern Victorian homes, rust hues will provide your design projects with that rich and delicious extra dimension you are looking for.